After starting the season 2-4, Maryland (7-5) has rebounded, running off a five-game winning streak before falling to Delaware at home Thursday. Nonetheless, the Terrapins carry momentum into this weekend’s home series against Bryant. The Terps are 5-1 against Bryant in the last two seasons, sweeping the Bulldogs in College Park last year and taking two out of three at home in 2016. Maryland’s offense has been streaky so far this season, scoring 20 runs in three games against Tennessee to open the year, only to fall cold over the next week and a half. The Terps’ bats came alive last weekend in the Johnny Gardner Law Group Tournament in South Carolina, scoring 31 runs, but managed just one run against Delaware Thursday. 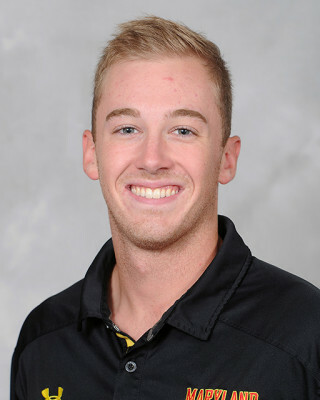 Second baseman Nick Dunn is living up to preseason hype thus far, hitting .300 with a team-best five homers, 11 RBIs, .750 slugging percentage, and 11 runs scored. The five round-trippers match his season total from all of 2017, and nearly double his career total from six to 11. First baseman Kevin Biondic is second on the team with a .283 batting average to go with three doubles, three triples and a homer. He fell a double short of the cycle Sunday against Ball State, and his seven RBIs were one short of the program single-game record. Freshman outfielder Randy Bednar homered against Delaware – his third of the season – and is slashing .279/.367/.535 in 12 games. 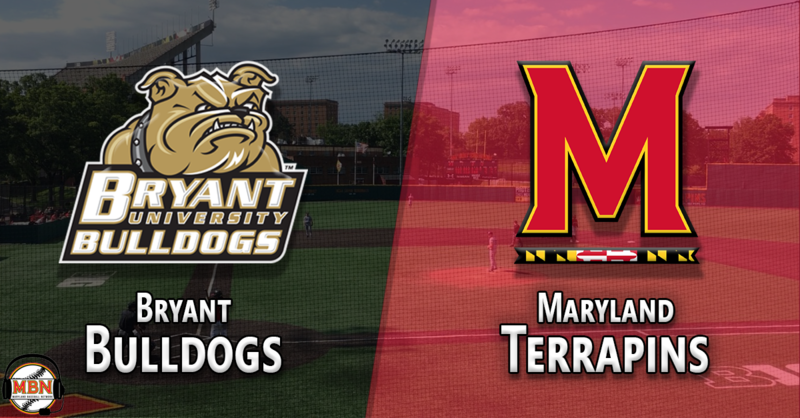 The Terps will look for the rest of their offense to get going this weekend, as Marty Costes (.163/.315/.302), Will Watson (.207, 1 HR), Justin Morris (.138, 3 RBIs) and Taylor Wright (.208/.296/.292) have not yet found their groove at the plate. Pitching has been the Terps’ strength early on this season, as their 4.00 ERA virtually matches their team mark from 2017. Weekend starters Taylor Bloom, Tyler Blohm and Hunter Parsons all turned in strong outings in South Carolina. 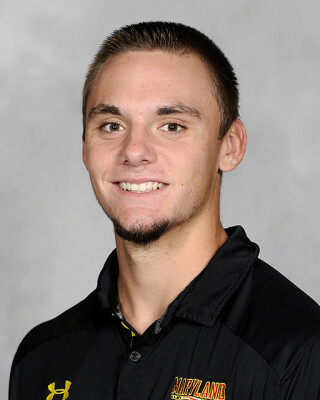 Newly-minted two-way star Kevin Biondic has been Maryland’s best reliever so far, tossing a team-high 7.2 innings of relief with a 1.17 ERA and ten strikeouts. Closer John Murphy has a 2.84 ERA in 6.1 innings, while freshman Sean Fisher (3.68 ERA, 7.1 innings) has also performed well. Bryant is a formidable program, as the Bulldogs have three 40-win seasons in the last five years. They are not off to a hot start in 2018, though, sitting at 2-7 entering this weekend’s three game series. However, six of those losses were on the road at perennial baseball powerhouses Arizona and Auburn. Bryant’s offense, while not spectacular, has been solid so far this season, posting a .269 team average. Infielder Tyler Panno is off to a hot start for the Bulldogs, pacing the team with a .421/.452/.763 slash line, four doubles, three homers and nine RBIs. The junior infielder, who tallied just 14 extra-base hits in 54 games a year ago, already has seven through nine games this spring. Redshirt freshman Ryan Ward was named NEC Rookie of the Week last week, and is hitting .342 with five RBIs through nine games after missing last season with an injury. The three leading hitters from last year’s Bulldog team – Mickey Gasper, Nick Angelini and Jimmy Titus – are largely absent from the offensive picture thus far in 2018. Gasper, the 2017 NEC Player of the Year, slashed .342/.470/.528 last spring with seven homers, 53 RBIs, and just 18 strikeouts against 42 walks. He’s off to a slower start this year, hitting just .250, but did pick up NEC Player of the Week honors after going 7-for-11 and collecting all six of his RBIs for the year at the Army Invitational last weekend. 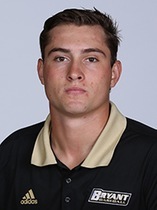 Angelini, who hit .318 with 15 doubles, 46 runs scored and 19 stolen bases a year ago, is hitting just .162 with a homer this spring, although his eight runs scored do lead the Bulldogs. Titus led the team with 16 doubles and eight homers last year while hitting .296, en route to NEC Rookie of the Year and Collegiate Baseball Newspaper Freshman All-American Honors. He appeared in just two games this season before getting injured, and is now out for the season. Much of Bryant’s 2-7 start can be attributed to a pitching staff that has struggled early on this season. The Bulldog staff dominated for years under former Terps pitching coach Ryan Fecteau, who led Bryant to five conference ERA crowns in his six years as their pitching coach (2011-2016). However, the staff took a step back last year, with a 4.41 team ERA, and this spring has an unsightly 7.66 mark. Besides the departure of James Karinchak, one of their top starters a year ago, the Bulldog staff looks similar to how it did a year ago. Steve Theetge and Vito Morgese return to the rotation, joined by Jack Patterson, the team leader in saves last season. All three weekend starters have struggled in their first two starts, each posting an ERA higher than 5.00. The bullpen has provided little relief, as of the pitchers with at least three bullpen innings, only Ross Weiner and Matthew Stansky (both 0.00 ERA) have sub-6.00 ERAs. 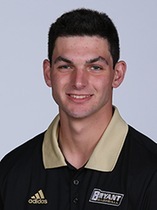 Right-hander Craig Lacey, one of Bryant’s go-to relievers a year ago (41.2 IP, 3.46 ERA in 2017), has a lofty 11.57 ERA and 2.38 WHIP in 4.2 innings out of the bullpen. Freshman right-hander Tyler Mattison leads the team with 6.1 relief innings, but carries an 11.37 ERA with him. 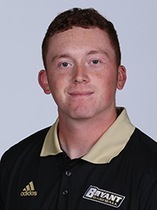 After spending much of last season (and his collegiate career) pitching out of the bullpen, Jack Patterson has worked himself into the Bryant rotation as a senior. The southpaw leads the Bulldogs with 15 innings pitched this year, but has surrendered 12 runs (11 earned) and 10 walks in those innings. Last time out, he got a no decision in Bryant’s win against Boston College, allowing five runs on six hits over 5.1 innings of work. Taylor Bloom takes the mound for Maryland to open the homestand, coming off an eight-inning, four run (three earned) performance in the victory over Radford last weekend. Bloom has been a workhorse early this season for the Terps, pitching at least seven innings in each of his three starts. As he has throughout his career, the right-hander has demonstrated pinpoint control this season, walking just four hitters in 22 innings while punching out 17. His best start of the season came against Tennessee in the season opener, when he tossed seven shutout innings with nine strikeouts en route to Big Ten Pitcher of the Week honors. The second of three lefties in the Bryant rotation junior Steve Theetge takes the ball for the Bulldogs Saturday afternoon. He led Bryant with 14 starts, eight wins, three complete games and 81.2 innings pitched a year ago, but has struggled to get on track so far this year. After seven strong innings and a tough luck loss against Arizona in the season opener, he’s lasted just 6.2 innings combined in two starts since, both losses. Theetge took the mound in the series opener against Maryland last year, allowing two runs over 5.1 innings, but was outdueled by Brian Shaffer in a 7-1 Terps’ win. Fellow left-hander Tyler Blohm gets the ball against Patterson, entering the weekend with a 2.60 ERA that leads Maryland starters. He tossed six innings of two-run ball against Coastal Carolina last weekend, picking up his first win of the year. The reigning Big Ten Freshman of the Year has kept hitters off balance this season, as seen by his paltry .175 opponents’ batting average. Sophomore left-hander Vito Morgese toes the rubber for Bryant in the series finale. The Warwick, New York, native is the leading strikeout man on the Bulldog staff this spring, with 15 in 13.1 innings of work. Like the rest of the Bulldog rotation, Morgese has had an inconsistent spring so far. He allowed seven runs in five innings last week, and lasted just two innings in his first outing, but tossed six shutout frames against Auburn in the start in between. Morgese faced the Terps in College Park last year, allowing four runs on four hits in four innings, and was tagged with the loss. After a rough start to the year (eight runs without recording an out in the second inning) at Tennessee, right-hander Hunter Parsons has returned to his promising freshman year form over the past two weeks. The junior turned in one of the best starts of his career Sunday against Ball State, striking out seven and allowing just four hits over seven shutout innings en route to his first winning decision since his freshman year. 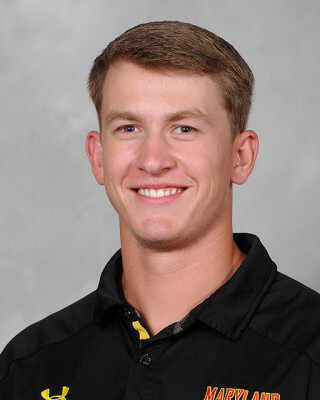 Back-to-back strong starts have solidified Parsons’ spot in the Maryland rotation, giving the Terps more stability and flexibility with bullpen options.